A postcard view of George Pine Crippen's residence at 226 Harrison Street, Topeka, Kansas. 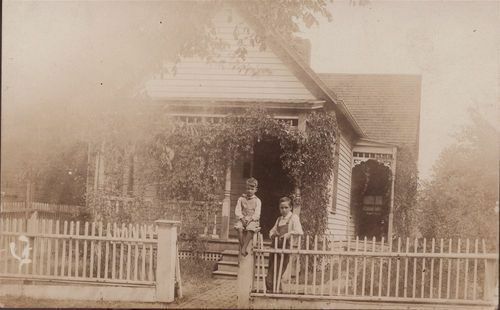 Nyman Van Scyoc and George Waldo Crippen are posed in front of the house. George Pine Crippen, a Republican, was elected from District 104 and served in the 1913 Kansas House of Representatives. After his term, the family remained in Topeka and Crippen worked for the Atchison, Topeka & Santa Fe Railway.